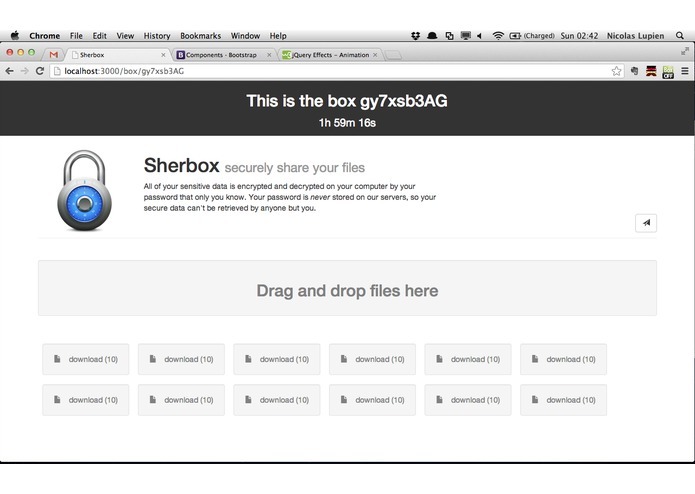 Share files securely on the web with Sherbox. 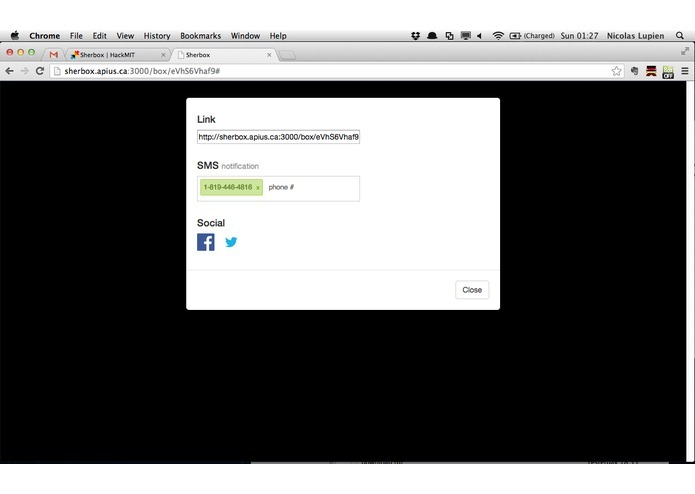 Sherbox create an online box for you to deposit your files. You have 2 hours to upload and share your documents. 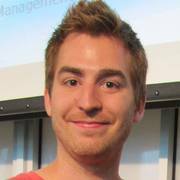 Files are encrypted on the user's machine and our service absolutely never see the content of your files.